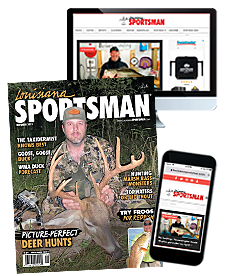 Subscribe today to receive monthly tips, techniques, product reviews, and the keys to all the Louisiana hunting and fishing hotspots sure to make this your best season ever! Check this box if you would like to receive email notifications regarding special offers from Louisiana Sportsman Magazine. I understand that I will receive uninterrupted service and delivery of my magazine and that my subscription will be automatically renewed at the rate then in effect. I won't be bothered with any renewal notices in the mail; instead, I will receive a clearly marked reminder about 60 days before my credit card is charged or a bill is sent. I may cancel at any time during my subscription and receive a refund on any un-mailed issues by simply calling 855-223-3599, or visiting Subscribers Services.